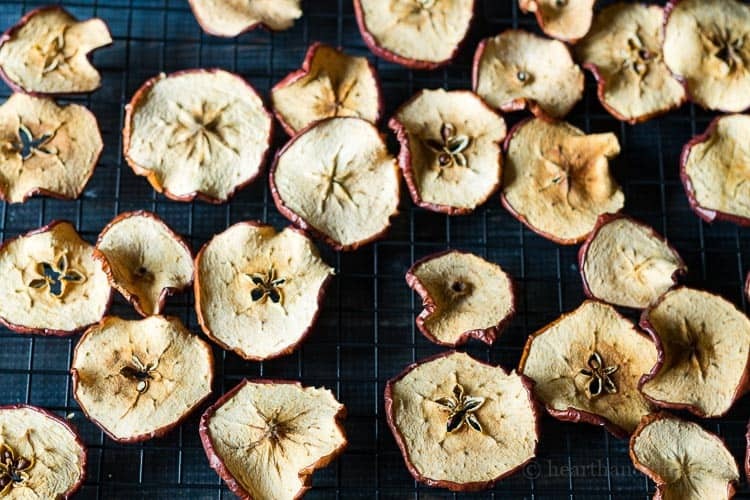 Homemade potpourri made with natural apples, orange slices, and cinnamon sticks is a great way to bring a little beauty and fragrance to your home. A while back I showed you how to make potpourri from your garden flowers. Today I’m sharing an easy way to make homemade potpourri with store bought apples, oranges, and cinnamon sticks. 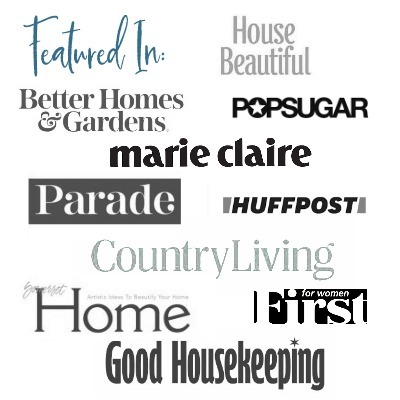 Perfect for fall and throughout the winter, these scents offer a warm and cozy feel to your home. Slice your fruit about 1/4 inch thick. Place them on a wire cooling rack in the oven for 2 hours at 200 degrees. After about an hour flip them over on the rack. Since ovens vary this may take a little longer or a little less time. Just keep an eye on the fruit and make sure it doesn’t burn. Next, remove them from oven and place in a cool dry spot to completely dry out. This may take another day. Place the dried orange and apple slices in your favorite bowl with some cinnamon sticks and enjoy. Once when my daughter was very little, she showed me how pretty the center of an apple is, with the star or flower shape in the middle from the seeds. This shape shows up beautifully in the dried apple slices. Here I used red delicious apples, because of their pretty dark colored skin. I love the way the edges curl up while drying in the oven. 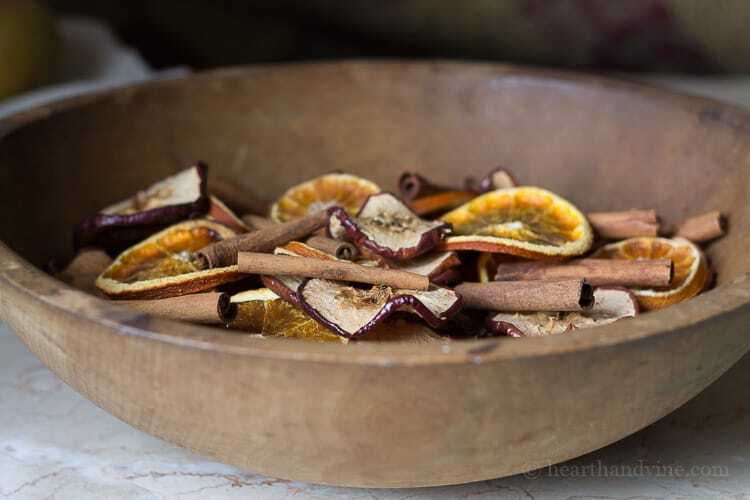 The dried fruit and cinnamon sticks are fragrant, but if you want to add more fragrance or freshen up this potpourri in the future, you can easily add some cellulose fiber and fragrance oil to the bottom of your bowl. Wouldn’t this make a nice party favor or small gift? It’s very similar to the simmering potpourri project. In fact, you could use these elements in a simmering pot of water too. Still, I think I like the way it looks more than the way it smells and will keep it displayed on our coffee table. Love the idea of making this for gifts, especially now through winter. After we get settled though I think I’ll just make some for my office. Great idea!!! It would make great gifts. Natural and pretty and doesn’t cost a lot. My kind of project. It would be great for your office.